The value of the One Page Strategic Plan can be compared to the value of a picture frame. 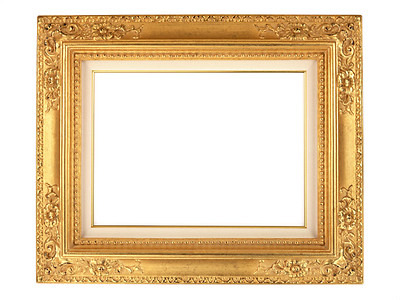 A picture frame protects the picture from damage, supports it, allowing it to be displayed properly, and places a framework surrounding it that emphasizes the substance and beauty of the picture. 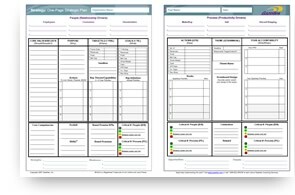 It’s been my experience working with growing mid-sized companies that for these and many other reasons your business needs a tool that can keep everyone aligned, speaking the same language regarding your business strategy and most importantly use this tool to continually evaluate your achievements toward reaching your priorities. How do you achieve all this yet make it simple? Provides a framework that identifies the key elements of your strategy and supports these. Provides a common language in which your strategy is expressed. (Everyone is aware of the key elements of your strategy. Example: There’s no confusion as to whether you have a mission statement or a core purpose. 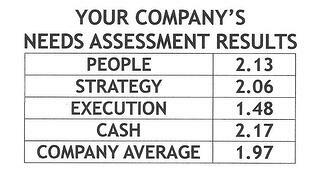 Provides a well-developed habit to use this framework and language so you continually evaluate your strategic progress. Number three is critical to making the entire framework of the One Page Strategic Plan work. It’s why Positioning Systems dedicates its coaching to the principal of Strategic Discipline (priorities, meeting rhythms and metrics). The One Page Strategic Plan is 1% vision and 99% alignment. Achieving that alignment requires this well-developed habit of meeting rhythms, choosing priorities and measuring performance in order to properly execute your vision. Let’s look at why growth is such a challenging issue for most companies, and how as your business expands the communication problems accelerate beyond the scope most managers and leaders can quickly identify as a major obstacle to continuous growth. That’s next blog.